A 16-year-old Eastbourne youth, who cannot be named for legal reasons, pleaded guilty to being in possession of an offensive weapon - a knuckle-duster - in a public place. The offence took place at Eastbourne on November 28 last year. He also pleaded guilty to being in possession of a quantity of cannabis on the same date. He was remanded on unconditional bail until April 24 for pre-sentence reports to be prepared. 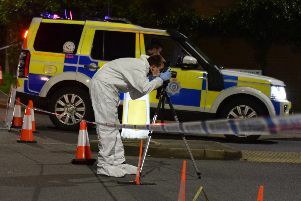 A 17-year-old Eastbourne youth, who cannot be named for legal reasons, pleaded guilty to obstructing police officers in the execution of their duty. The offence took place at Eastbourne on March 12. He was referred to the East Sussex Youth Offender Panel.